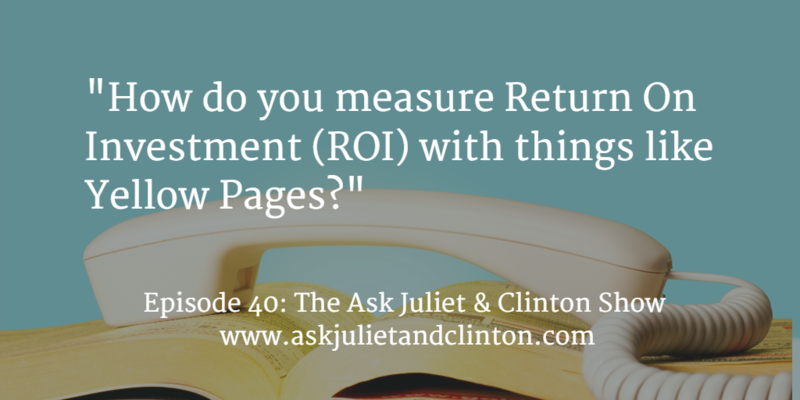 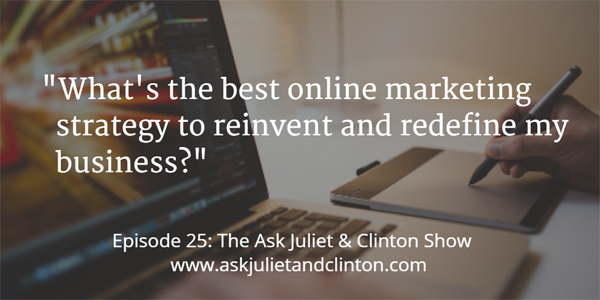 In this episode Juliet and Clinton answered questions about how to market online counselling, how to measure Return on Investment (ROI) online, and how to price services in a community with high unemployment. 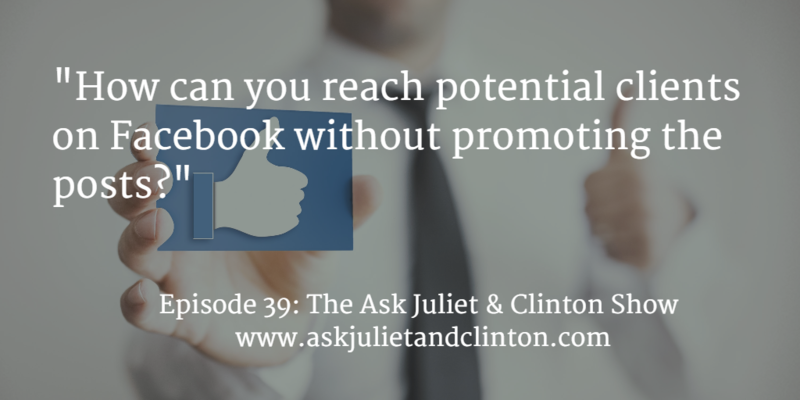 Episode 039: How can you reach potential clients on Facebook without promoting the posts? 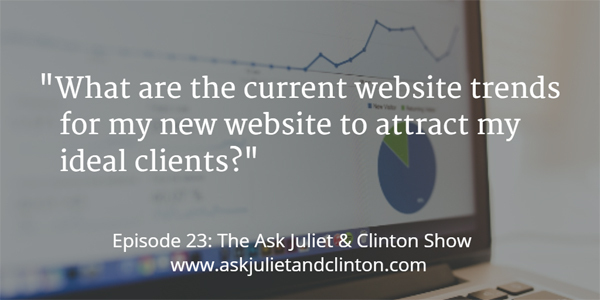 In this episode Juliet and Clinton answered questions about how to reach potential clients on Facebook without promoting the posts, how to address ethical issues when promoting a Facebook page, and how to get more clients from a website.